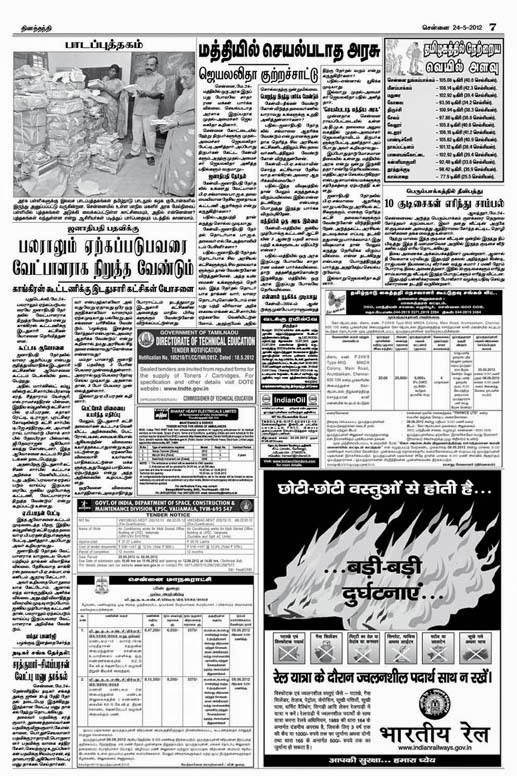 Indian Railways' advertisement in Hindi (no English or Tamil) in the mass circulation Tamil newspaper Thinathanthi (May 24, 2012. Page 7). Rs. 500 Rupees note (2012) has Reserve Bank Governor’s signature in Hindi and English.